Antenna Restrictions, Power Restrictions, RFI Problems, or Limited Space keeping you off the air? Learn how to build, hide and operate indoor and outdoor Ham antennas without causing RFI problems. Some of these designs were taken from pirate operations and applied to legal radio.I do not condone pirate radio, but why not apply their hideing techniques with proven ham antenna designs and theory. Hide your antenna in something else. Extreme Measure for the most severely restricted environment. When NOBODY can know you have a transmitter. For apartment Balcony, Great working! Hanging “HUMMINGBIRD FEEDER” bird feeder 10-40m HF Antenna Instructions. This hides the outside loading coil so your random wire will tune up on 10-40m. 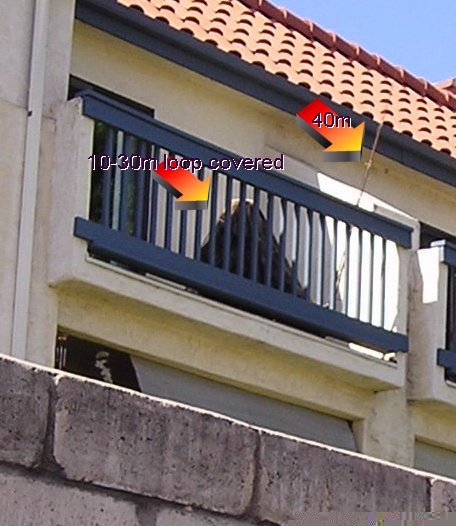 Puts substansial portion of your radiated RF outside your apartment-condo. 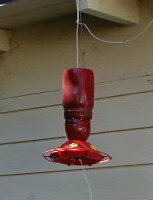 Here is a brief description until I put up a page: Buy a plastic hummingbird feeder with standard glass syrup jar. Replace syrup bottle with a 2 liter soda bottle. Threads of soda bottle match feeder bottom perfectly, plus plenty of room to put a large COIL inside. Cut bottom 5″ of bottle off. Save it to slide back over remainder later after you instal a 80-100 turn air or ceramic core coil. No plastic cores. Can get hot! on some freqs. Coil turn spacing min= space of same wire diameter as gap between turns. Larger gaps ok. Solder 10′,(or more), wire to top of coil, run through bottle end to hang. Use a foot or two to hang and run remainder painted, hidden behind eves etc. horizontally for “INVERTED L” capacity hat. Solder a random wire to bottom of coil to exit out of bottom of feeder to your tuner (tune with tuner as a random wire. use a counterpoise, a real or artificial ground.) Small guage Black insulated wire is hardest to see. Best to hide most of feed wire, but do not run parallel next to other parallel metal objects,(ok to cross metal. 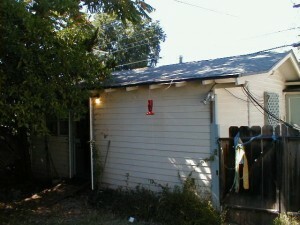 just don’t run along lengths of metal rails, sliding doors, extension cords, etc.). If ask what is “THAT” wire for, say, “It is a special ultrasonic LARGE bird repeller” and it only repells one foot from my feeder. Tell them how safe it is. Make up details, go on and on about technical details etc. They are sorry they ask and leave. This always works for me. Paint soda bottle fire engine red to hide coil and match rest of feeder. The longer the feed wire the better. The more turns and diameter of coil the better. You want to increase your chances of a “PEAK CURRENT POINT” occuring somewhere, (that is why so many turns), in the coil for lowest angle radaition possible under such compromised conditions. (sorry no more syrup). Safe for birds. Works great and even the most snoopy manager neighbor will never suspect a pirate like antenna. This description and photos will get you started. You can easily improvise until I post more construction photo details. LOOK AT THESE. DO YOU SEE ANY ANTENNAS? 10-30m and 40m balcony antennas. 10-30m is an AEA Isoloop magnetic loop, (MFJ type loop), and a 40m hamstick bundled with fishing poles to hide. Stick is tuned with wire tuner and artificial ground counter poise. I’m on the 3rd floor. The loop is covered with a plastic tarp to hide. I get average 559 sig reports every where I go. Even on dx reports. Loop works DX very well. From my QTH in Escondido, Ca I work Asia , Russia, South Pacific, South America, etc points West of me in afternoons on 15 and 20. CW! Also I work all USA and Canada. I have not tried Europe yet in mornings from here yet. I do not operate much in the Extra class band where most of the DX is, because I like ragchew type qso’s. I can’t say enough about these loops. They really perform. Hamstick equals a 100w mobile for performance. My apartment balcony has wooden rails for the fishing poles / hamstick to lean against. Nothing to brag about. I work Western States on 40. It is satisfactory for my needs, considering my limited space and need for stealth. It,s fun and I get to keep my amateur radio hobby where not allowed. This is the mfj version of what is under the tarp on my balcony.The plastic tarp keeps loop OUT OF SIGHT and works rain or shine. Rain has little to no effect on loop in or out of plastic tarp. These loops can sit on the ground. They do not need to be elevated when vertically mounted to work. MFJ LOOPS have the same 36″ diameter, same outstanding performance, and are still manufactured today. AEA, (mfr of my loop), is no longer in the antenna business. If my AEA loop ever breaks, I’ll purchase an MFJ. I love these loops. So EASY TO HIDE and WORK SO WELL. A NOTE ABOUT KEEPING YOUR SECRET!